This was the first website I built, it has had several iterations and is now based on a CSS Grid layout. 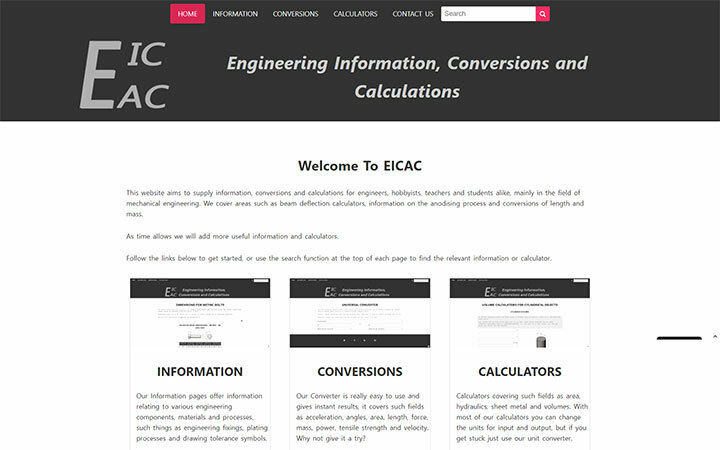 It's a website which is engineering based and has three distinct areas; general information, engineering conversions and lastly engineering calculators. As I am an engineer at heart, I have found the challenge of combining engineering and website design a pleasure and very fulfilling. See the completed website here.